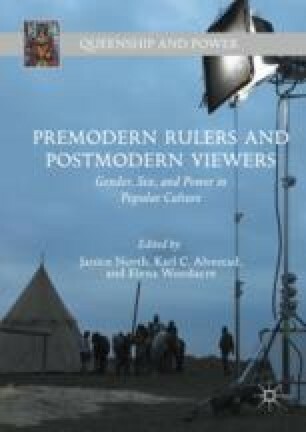 This chapter explores the evolution of the myth of Juana I of Castile’s supposed madness in Spanish film and television, from its genesis in the nineteenth century to the twenty-first. It offers a close reading of the myth as it has been presented in the past two decades by director Vicente Aranda and RTVE/Diagonal TV, contextualized within the previous filmic tradition and in light of recent historiographic developments, such as Bethany Aram’s arguments against Juana’s insanity. While these twenty-first century portrayals of Juana either seek to redeem her character or to portray more accurately her circumstances and explain her failure to lay claim to the power she inherited, they ultimately continue to fuel the myth of her madness as the result of female passions. Isabel. Television Series. RTVE/Diagonal TV. Seasons 1–3 (2012–2014). All episodes are available online at: http://www.rtve.es/television/isabel-la-catolica/capitulos-completos/. Tamayo y Baus, Manuel. La locura de amor (1947; Alicante: Biblioteca Virtual Miguel de Cervantes, 2000). http://www.cervantesvirtual.com/obra/la-locura-de-amor–0/. Fernández-Santos, Elsa. “Vicente Aranda recrea los engaños y los celos que enloquecieron a Juana de Castilla: El cineaste rueda en Portugal una nueva versión de la obra de teatro ‘Locura de amor.’” El país, November 22, 2000. http://elpais.com/diario/2000/11/22/cultura/974847605_850215.html. Fuentes, Andrea. “Jordi Frades: ‘El argumento de la película es perfectamente entendible para quienes no hayan visto Isabel.”’ Ecartlera, February 19, 2016. http://www.ecartelera.com/noticias/29058/entrevista-jordi-frades-la-corona-partida/.